At a fundamental level, a native graph platform is required to make it easy to express relationships across many types of data elements. To succeed with connected data applications, you need to traverse these connections at speed, regardless of how many hops your query takes. This blog series is designed to help you better leverage graph analytics so you can effectively innovate and develop intelligent solutions faster. Last week we explored in brief some of the ways graph technology can be used in AI. This week we’ll look at the elements of a graph platform and how various groups in the organization can use it to collaborate. 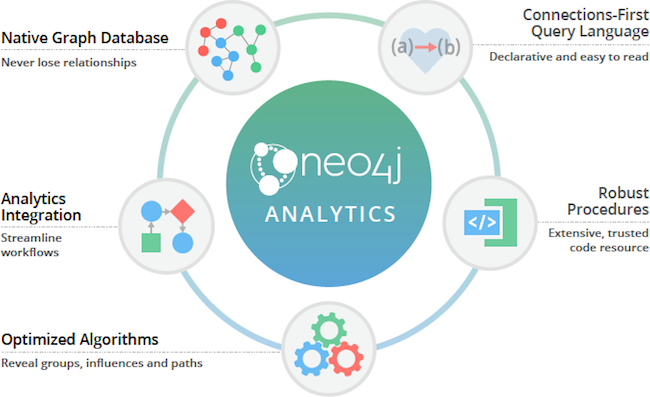 A graph platform like Neo4j offers an efficient means for data scientists and solutions teams to move through the stages of discovery and design. A graph platform must also offer a variety of skill-specific tools for business users, solution developers and data scientists alike. Each user group has different needs to visualize connectedness, explore query results and update information. 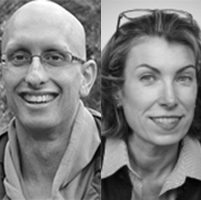 First, when exploring a concept, teams look for broad patterns and structures best served by global analysis. They need the ability to easily call upon packaged procedures and algorithms. 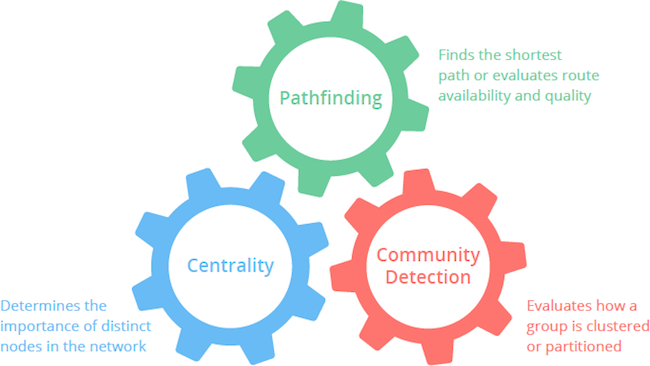 Organizations want tools to identify communities, bottlenecks, influence points and pathways. In addition, a supported library of algorithms helps ensure that results are consistent by reducing variability introduced by many individual procedures. In the next phase of solution modeling, a streamlined process becomes extremely important as teams must test a hypothesis and develop prototypes. And the iterative, continuous nature of the above workflow heightens the need for extremely efficient tools with fast feedback loops. Teams will be using various data sources and tools, so a common, human-friendly way to express connections and leverage popular tools is essential. 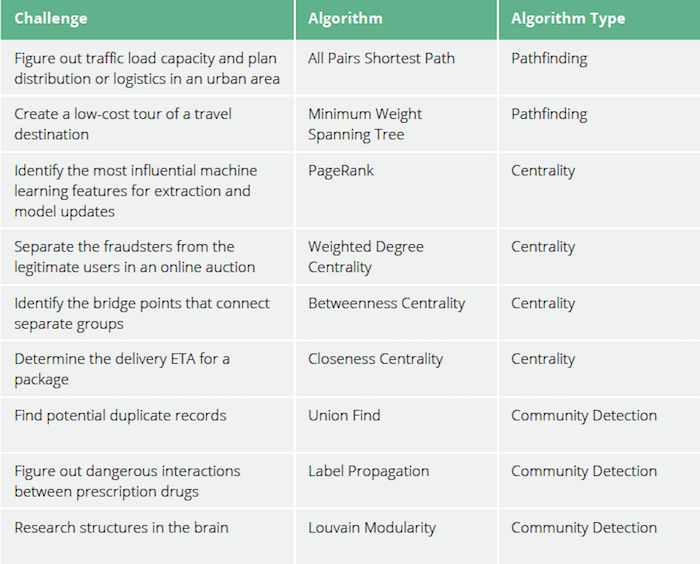 Graph algorithms reveal the hidden patterns and structures in your connected data around pathfinding, centrality and community detection (see graphic) with a core set of tested and supported algorithms. Neo4j graph algorithms are simple to apply so data scientists, solution developers and operational teams can all use the same graph platform. 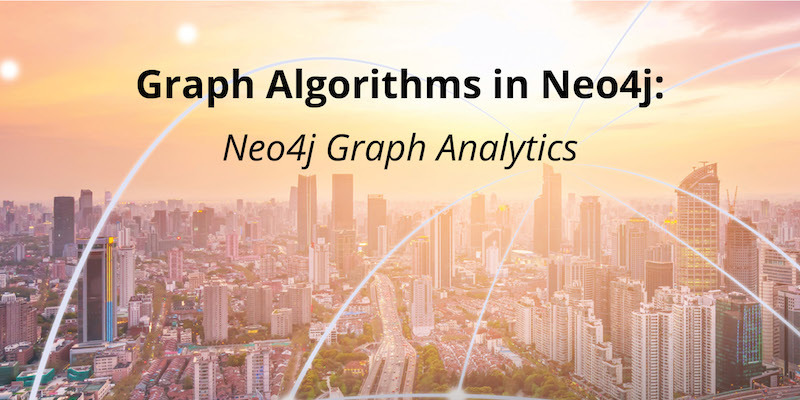 Neo4j graph algorithms are efficient so you analyze billions of relationships and get results in seconds to minutes, or in a few hours for more complicated queries that process large amounts of connected data. The following table offers a sampling of problems and the specific graph algorithms that have been used to solve them. It provides inspiration about the types of problems that graph algorithms have solved. Inclusion on this list does not imply that the work in question was done using Neo4j. This concludes the first section of this blog series, designed to familiarize anyone who is interested about the benefits of applying graph algorithms to your connected data. In the coming weeks, we’ll explore technical concepts you need to grasp to effectively work with and choose graph algorithms. Then we’ll dive into the graph algorithms themselves so that you can apply them and and uncover patterns that are undiscoverable using traditional analytics approaches.